I imagine you are aware of all those greedy capitalists, demonstrating to get all their cushy pension money without sensibly contributing to it, over in Moscow, Wisconsin. I live forty-some miles northwest of Mad City, in the town where the nation’s first Progressive Party presidential candidate, Robert La Follette married his leftist, feminist wife, in 1881. Yeah, 1881. Politically precocious, we are, here in Badgerland. “Fightin’ Bob” learned his social justice from U. of W. president, John Bascom, who came from Andover Seminary (essentially of the same United Church of Christ denomination as the so reverent Jeremiah Wright). These Congregationalists stem from the Puritans, whom, as the name implies, were soft on utopianism and legalistic perfectibility. Progressivism but also unvarnished Marxism made inroads very early, here in Wisconsin, including within the state and region’s labor movement. Just a little more on that. Barry Obama’s hero, Harold Washington was not America’s first socialist, big city mayor. That distinction goes to Emil Seidel, elected as Milwaukee’s Marxist boss in 1910, the same year that Victor Luitpold Berger was elected America’s first socialist representative in Congress. It was Berger that gave union leader Eugene Debs a copy of Das Kapital and won him over to Marxism. 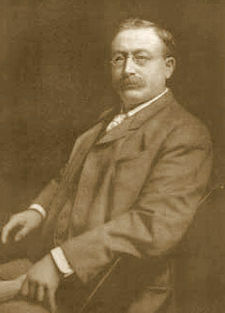 Debs became the Socalist Party’s candidate for president in 1912, with Mayor Seidel his VP candidate. 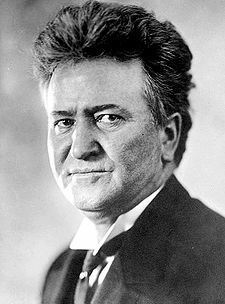 However, their Socialist Party of America chose not to run their own candidate for president in 1924, eagerly backing La Follette, instead, much as confessing socialists backed Obama, in 2008. Those names are just the tip of the top of the iceberg. Extensive information on the Wisconsin front on the Marxist war against American freedoms is available in numerous books and at the Wisconsin Historical Society. The collection is enough to satisfy those much more skeptical than our state’s own Sen. Joe McCarthy. With numerous socialist operations headquartering in neighboring Chicago and with the influx of European immigrants, at or shortly after the turn of the Twentieth Century, Wisconsin became saturated with a small but stubborn and increasingly subversive minority of Marxists. Concomitantly, the University of Wisconsin became a center for the weakly meandering but strongly stated thoughts of discontented, dead Germanic and Jewish intellectuals, hanging out at the atheistic ends of the enlightenment through industrial ages. During the Vietnam War, the U. of W. at Madison was among the hottest of the SDS hot spots, suffering a bombing along the way. Many more Marxists than the infamous Joel Rogers intellectually infest Wisconsin and it’s university system to this day. Pardon, make that through this day (tenure) and despite their thirst for abortion, many of them breed red diaper comrades. And now we have teachers and other government workers, some likely third and fourth generation Marxists, calling in, sick to demonstrate. They are dragging high school kids along, though according to interviews, many fail to understand why they have come. One precocious eighteen year old does understand and did something about it. On the first day of heavy demonstrations in the rotunda, he made his own sign that firmly said, “Students for Walker.” Trevor Schumann, for what he did, was featured in the evening news. Schumann: “And I knew I would be a fish swimming against the current here. But, I wanted to create a dialogue, so that people who wanted to express their views would have to do so with actual facts instead of just being with like minded people.” If not already aware, he is learning that while Marxists feed like piranha off the dialectic, they have no desire for honest dialogue. Facts are problems to such group-thinkers, since they are not on the same side. I wonder if Schumann knew the Marxist Organizer in Chief himself, Barack Obama was pushing the protests and building the ranks of ersatz proletariat, through his Organizing for America — the same for Ohio and Eugene Debs’ own Indiana. And, the putative president warns the vetted Governor Walker against an “assault on the unions.” Of course he does. The next day, Tea Party activists accosted a number of Wisconsin’s fugitive prog senators, who obstructed the vote on the bill by fleeing the state. That was in Rockford Illionis’ Clock Tower Inn. Nowhere to run, baby. Counter protests have now begun, thank you, Trevor. Information is featured in Facebook. If you belong to one pro-liberty group or another, you should be able to find information about these doings, at their sites. Andrew Brietbart and Herman Cain are among those who will be protesting in Madison, this day, for freedom from Cloward-Piven ruin. I think I will join them. Meanwhile, the Marxist union bosses have trucked in the throw weight of Richard Trumka, communist collaborator and head of the AFL-CIO, yada Jesse Jackson yada, the whole routine. At the time of this writing, rumors are even floating of the Secret Service doing some advance work in Madison for the Big O, himself. And numerous other state capitols are being targeted for little Cairos-in-the-heartland — just see, www.heartlandrevolution.com. So fitting that it all begins here; the prog pickings may be a bit thinner, elsewhere. Are you within driving distance of Madison, Columbus, or Indianapolis? Have a video camera with a good mic? What are you doing, the next few days? THIS ACTIVITY IN WI IS TREASON.